Were you there during the Beanie Baby Outbreak of '95? How about the Great Furby Epidemic of '98? If so, you have some experience when it comes to holiday gift-giving hysteria. With the economy still in the doldrums, seasonal madness is subsiding. Consumers aren't breaking down doors to pay a premium for the latest and greatest gadget. This year, shoppers are shifting toward more affordable and thoughtful presents. As you start to plan your Christmas list, consider some of these gift-giving trends. Would you believe the hottest holiday item out there is a rectangular piece of plastic? According to a survey from the National Retail Federation, 57.7 percent of consumers want gift cards as holiday presents, putting their demand at an all-time high. Happily, you can find cheap gift cards at sites like GiftCardGranny, which sells them at less than face value. If you're recipient isn't totally satisified, they can always sell the card for cash on Gift Card Exchange Day, the one-day event scheduled for Dec. 26 when gift card resellers typically offer maximum value for unwanted cards. A close relative of the gift card, the daily deal voucher is making its own name this year. Vouchers allow you to pamper someone with a massage or provide an experience like skydiving without going over budget. If this kind of gift doesn't seem personal enough, take some time to gather important details, like expiration dates and restrictions. This shows you put in more effort than simply clicking your mouse a few times. Once taboo, re-gifting is now all the rage. It's a great way to pass on presents you'll never use to someone who'll actually appreciate them. Re-gifting can be a risky venture, though. Make sure you haven't lamented to the recipient how much you hate it or, worse yet, forgot they were the kind person who gave it to you in the first place. For some re-gifting tips and hilarious horror stories, check out Regiftable.com. The true spirit of the season -- kindness, generosity, caring -- is slowly fading with each years' Black Friday, doorbusting stampede. Break the cycle this year and extend your generosity to those in need. Sites like JustGive.org sell charity gift cards, where the recipient can donate their card's balance to any of 1.8 million charities. Plus, when you give a charity gift card, you can write it off on your taxes. The iPad 2 and Kindle are hot holiday items, but they're gifts reserved for those with money to blow. When you can't afford to give someone the gadget itself, you can still make their user experience more enjoyable. If you know someone is going all-in on an iPod, give them essential accessories like a case and headphones. They're going to need them anyway, and it still shows you pay attention to things they value. With so much attention focused on bank account balances, many are choosing to turn away from material goods. Instead of giving individual presents, host a holiday party. Just ask everyone to contribute something easy and affordable, like cookies or dip. This relieves the pressure of gift giving and provides quality time with the people you care about most. To make it a memorable celebration, try one of these Christmas theme party ideas. Though it sounds cliche, there's no better present than the gift of time. Take a step back from indulgent gift giving and do something thoughtful. Rent a favorite movie of everyone in the family and then have an at-home movie marathon together. If you have a family full of foodies, plan a gourmet meal and enjoy each other's company while it's being cooked. Options are really only limited by your imagination. 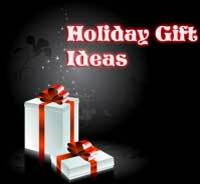 One Response to Top 7 Holiday Gift-Giving Trends That Won’t Break the Bank ~ Ideas for the Perfect Present! Love these ideas! thank you… and to add – I like a good night’s sleep….it’s possible with Goodnighties p.j’.s … now that’s a great gift idea too! Is Your Privacy Being Invaded? 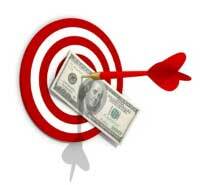 Here are the Top 8 Tips for Avoiding Targeted Online Ads!